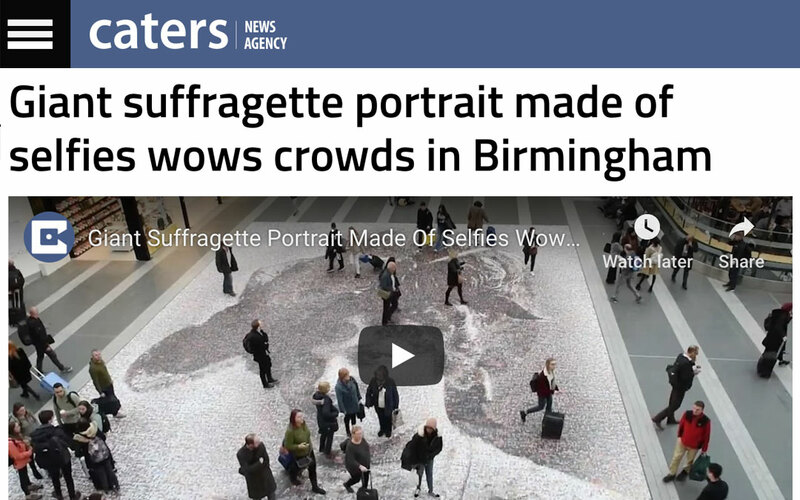 An impressive mosaic depicting the face of a suffragette created made by selfies and photographs of historical women from the 1900s, has been unveiled in the centre of Birmingham. Hilda Burkitt’s face has been turned into a 65ft piece of art on the floor of Birmingham New Street Station – exactly where she threw a stone at the Prime minister’s train in 1909 after he attended a male-only budget meeting. The mosaic, called ‘Face of the Suffrage’ and unveiled today [Nov 15], consists of more than 3,700 images, including pictures of women today.